Do You Have a Gold and Silver “Seatbelt”? In just about every state, it’s the law that you must wear a seatbelt when driving down the road. Putting aside the question of whether the government should mandate this, most of us understand that the reasons for individually choosing to do so are valid. Take a quick look at our financial system. Have things really improved since the entire global system almost went down in 2008? Sure there have been “changes” – for example, your bank most likely has a “bail in” provision added to the fine print of your accounts, letting you know that if they go under due to their own mismanagement, you may be forced to help out with some of your hard-earned funds. Money market funds and “savings” accounts now pay virtually no interest, but (so far) that’s at least better than in some European countries, where hapless account holders actually have to pay the bank for the privilege of leaving money in their account. Trillions of dollars in artificial derivative trading vehicles created by over-leveraged banks, backstopped by Federal government printing of unlimited amounts of paper money. “Official” statistics which are constantly “revised” a month or so after they have been released to the public. Published inflation rates which don’t include most of the things we use and do on a daily basis. The list goes on and on. Last month, I spent two weeks in Argentina fly fishing for monster Rainbows in Jurassic Lake, and Brown Trout - what the locals call Sea Trout - in Tierra del Fuego’s Rio Grande. In Buenos Aires, Calafate, Ushuaia, and with my fishing guides, I had some interesting – and illuminating experiences, when comparing the response to sound money (silver) with that of a paper promise (pesos). I took along a tube of one-tenth ounce .999 fine silver bullion rounds courtesy of Money Metals Exchange, and from time to time, I handed them out to taxi drivers, waitresses, airline stewardesses and fishing guides. Without exception, the look on their faces was amazing. 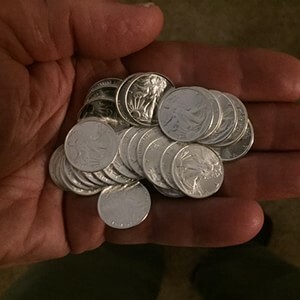 Without discussion, after realizing what they were holding – and rubbing the bullion coin between their fingers – their eyes lit up, they smiled, and thanked me profusely. All of this for just one-tenth of an ounce of silver! Several times during the last few decades, Argentina has experienced runaway inflation, to the extent that the currency became virtually worthless, empoverishing millions of people. In some cases, family fortunes generations in the making, were destroyed. I have often thought of what it might have meant to a middle-class family, if they had possessed only a few ounces of gold, or perhaps a tube or two of one-ounce silver rounds. In some measure, they would have been protected, as millions of people have, over thousands of years been, when financial unrest became the norm. It has always been thus when paper money’s value eventually accelerates into a downhill run towards its intrinsic value – ZERO. "La décima parte de la onza de plata pura." Sadly, the ruling elites seem to have learned little from the fiscal mismanagement of their predecessors. When I first traveled to Argentina in 2009, the Exchange rate was 3:1 – three pesos for one U.S. dollar. Now, just 6 years later, the official rate is 8.5:1 – but street-side in the “blue market” you can get 12-15:1. Inflation runs 25 – 30% per year. At a restaurant, you are asked not to post a tip on your charge card, but instead remit cash. Offer a $50 bill for a $20 tab, and the receiver wants to hand you pesos, rather than dollars. Hapless touristas – myself included – are charged the official exchange on a purchase, which is half the “blue” rate. Exchanging some of your “paper promises” (currency) for the physical financial reality of gold and silver on a regular basis makes more than just good business sense. It helps make sure that come what may in your financial life, your “financial insurance policy” will be there to help you out, when, not if, the chickens from so many years of unsound government policies come home to roost. Look toward Argentina, Venezuela, Russia and others as harbingers. Even now, the U.S. inflation rate is arguably several percent higher than the “official” figure. You would do well to pay attention and plan accordingly. 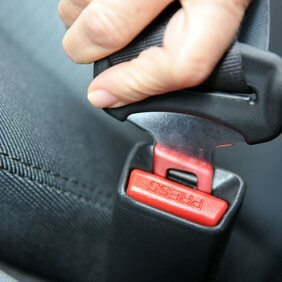 Safeguarding a portion of your savings by moving it outside of the system (not just holding everything in banking or traditional retirement accounts) is like wearing a seatbelt. There’s no downside. But if the worst happens, it could save your life. Or at least your livelihood. David H. Smith is Senior Analyst for TheMorganReport.com, a regular contributor to MoneyMetals.com as well as the LODE Cryptographic Silver Monetary System Project. He has investigated precious metals' mines and exploration sites in Argentina, Chile, Peru, Mexico, Bolivia, China, Canada and the U.S. He shares resource sector observations with readers, the media, and North American investment conference attendees.